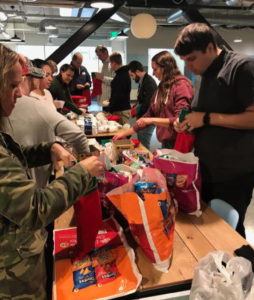 We were spreading Christmas cheer as we hustled and bustled to make over 150 Christmas stockings filled with everything from gloves, socks, toothbrushes, chapstick, hand warmers, hand sanitizer, candy canes, oranges and more. Employees from BGZ brands delivered these to those in need at the Salt Lake City Women’s shelter as well as throughout the city and local communities. Merry Christmas from BGZ brands!